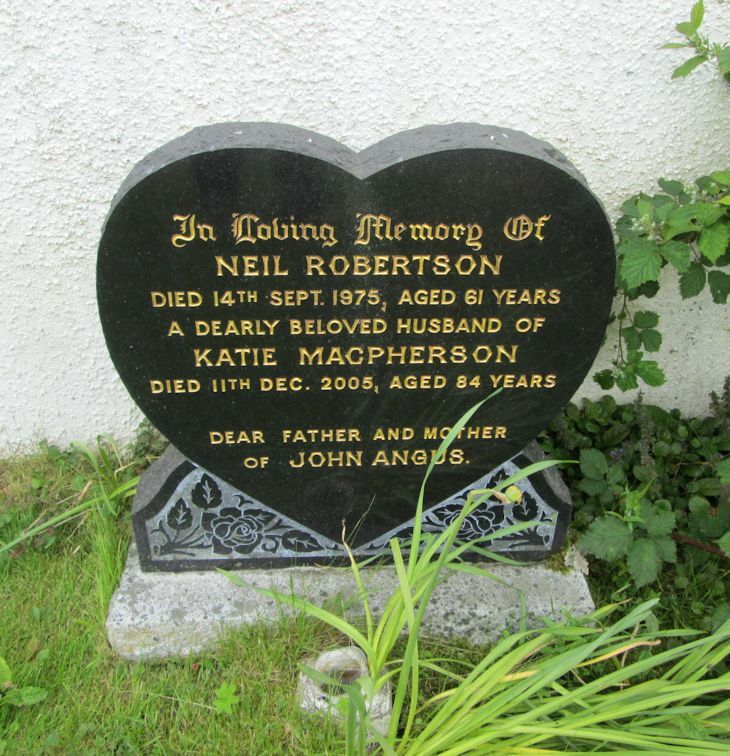 Skye Gravestones | Neil & Kate (Macpherson) Robertson. Neil & Kate (Macpherson) Robertson. In loving memory of/NEIL ROBERTSON/died 14th Sept. 1975, aged 61 years/a dearly beloved husband of/KATIE MACPHERSON/died 11th Dec. 2005, aged 84 years/beloved father and mother/of JOHN ANGUS.